Today anyone can create a website. There are tons of services and tools that allow building a website from scratch without deep knowledge of programming, coding and web design. However, I hope every user understands that creating a really beautiful, compelling and profitable website requires at least basic knowledge on HTML & CSS, web design trends, usability testing and search engine optimization. With brand new eBooks listed below any user - be it a novice designer/developer or even a small business owner - will get specific information about web design and development basics. Beginners will also learn about responsive design techniques and general recommendations about website optimization and promotion. The books offer the freshest info on the latest innovation in web design and development area. 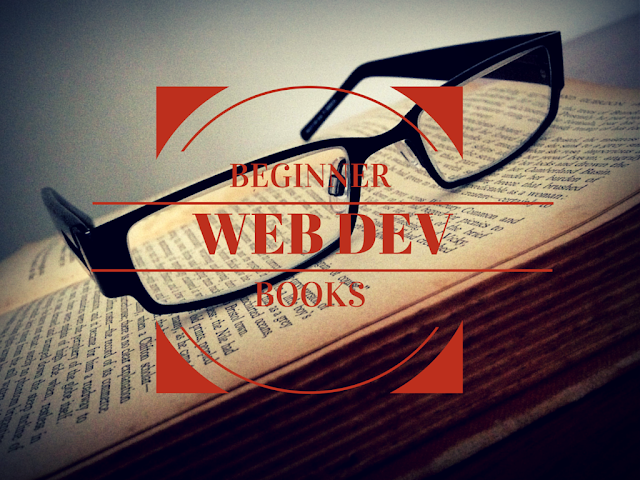 Below mentioned books will help you create a website from very beginning till its up and running. This book is a real must-have for users who start learning coding. It contains basic info on HTML and CSS as well as some general knowledge on web design elements. Beginners will learn from this book about major web design elements like color, graphics, typography and layout. And, of course, will get recommendations of how to use CSS and build a structure of an HTML document. WordPress is one of the most popular CMS platforms. "Professional WordPress: Design and Development" contains practical in-depth and in-detail advice on WordPress use for web designers and developers. This edition was updated to meet the latest WordPress 4.1 standards. With this book users will get the understanding of the latest WordPress 4.1 features, learn how to easily migrate existing websites to WP and discover the coolest tools and practices that help users work with WordPress. Ruby on Rails is a cool coding program that gains its fans very fast. Today it's one of the simplest languages that allow creating a clean code for nice-looking designs. The book will be a cool gift for beginners that search for a right track to start learning Ruby. You won't find there in-depth advice and analysis on the programming process, but it will definitely show you the right path. Responsive web design is the approach that tries to combine web design practices with their accessibility to mobile devices users. Dan Rose, the author of this book, considers Photoshop CC on of the best ways of combining web design with coding to get website designs perfectly adapted to any screen size. In the book users will get the idea of implementing Photoshop into web designer's workflow as well as of how to adapt Photoshop and HTML use for fluid conditions of the Web. Jennifer Kyrnin, the book's author, offers her readers simple, step-by-step recommendations and advice on how to use HTML 5, CSS and Java for responsive websites creation. Readers of this book will get info on how to choose a perfect layout for a website and create a wireframe. Search engine optimization is vital for any website. it helps make your website visible for users around the world. Today's SEO is both easier and more complex. Google algorithm updates offer new challenges for website creators and owners. This SEO guide contains the latest and greatest recommendations for webmasters on website optimization for organic search. Users will find the best tactics and SEO strategies that should guarantee a website getting higher on SERPs. A great guide that also offers the latest practices on website's on-page optimization. This book contains step-by-step instructions on what techniques a website owner should use to get higher rankings, build a great link base and increase traffic. Additionally, beginners will learn on how to provide a keyword research to get on top of SERP with their content. A cool roundup of the best tools that allow making research, providing testing and getting analytics will be also a real gift for SEO practitioners. UX (user experience) is a relatively new and wise approach to website design. It requires a closer attention to user's needs and expectations. How to combine a cool-looking design with a great usability? How to find the best techniques and tools to achieve stunning designs that offer perfect UX? This practitioner's guide offers readers answers to these questions and some helpful recommendations. Steve Krug's masterpiece "Don't Make Me Think" is a real classic for many web designers' generations. Published in 2000, this book got an update last year and now it offers the freshest ideas about UX design and how it should be applied to new web conditions like mobile usability. A definite must-have for any person that works in web design field. People perceive everything around in context be it cultural, political, physical or other kind of environment. Today, with inclusion of digital and virtual environment to this complex, context becomes more versatile and more complicated. It requires a deeper and wiser approach. This book offers information architects, UX specialists and web designers a deeper look into the process of digital context creation. It combines theoretical material with cool diagrams and creative examples that provide a better understanding of the subject. This books roundup will be helpful not only to beginners. Advanced practitioners will also find some fresh ideas that can push them to better understanding and creative approach to the process of website making, optimization and testing.